No I don't mean the English Punk Rock band, so put away the giant nose rings, suspenders and ultra-hold hair gel. 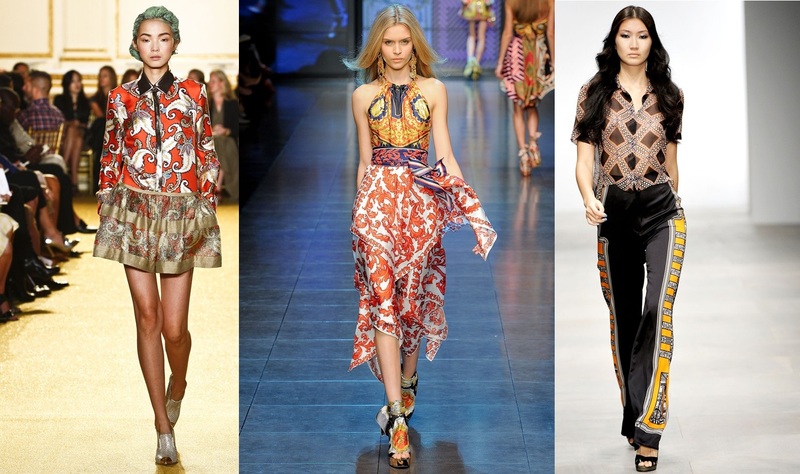 I am talking about clashing prints - they have been all over the runways and now filtering onto the street. If you wanna be heard this season, let the clothes do the talking and make them loud - need a bit of inspiration? Here are some of my favourite colour clash looks from the catwalk. I haven't tried this trend for myself yet, as over recent years I have become a complete wh*re for leopard print and don't really have any prints to clash with, any suggestions? Anyway I have had a little go at styling this trend. 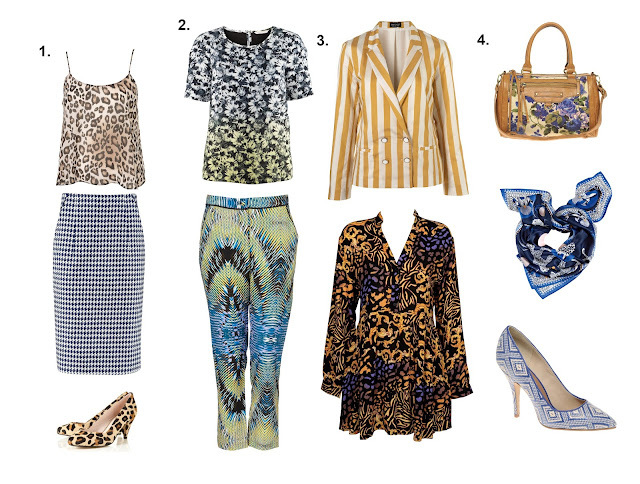 I went for a simple colour palette of blues an mustard to keep the focus on the stunning prints. 1.) Dog tooth skirt, H&M; Animal print kami and Jinx vintage style court shoes, Topshop. 2.) Floral print top, H&M; Geo print trousers, Topshop. 3.) Co-ord stripe fluid blazer, Topshop; New Royal serpatine dress, General Pants. 4.) Also Tavolario floral bag, ASOS; Scarf, H&M; Prima weaved point court shoe, ASOS. What do you guys think of the clashing print trend? How would you wear the trend? And how would you definitely not?